The Costa Brava, that pretty Catalan coastline on the Mediterranean, sets the scene for your next holiday at the camping Mas Sant Josep. This little corner of paradise shelters so many exceptional sites that you really mustn't miss. The Montgri Natural Park, on the coast, offers an open door to adventure! Hiking, diving, climbing, bathing and watersports... all within a natural Mediterranean wilderness. There are so many activities to enjoy with the family. Only 2km from the campsite, the "la Cova d’en Daina" dolmen will take your breath away. Dating from between 2,700 and 2,200 BC, this is one of the region’s best-preserved historical sites and definitely worth a visit. Palamós, Barcelona, Cadaqués ... Discover all the enchanting towns of the Costa Brava! 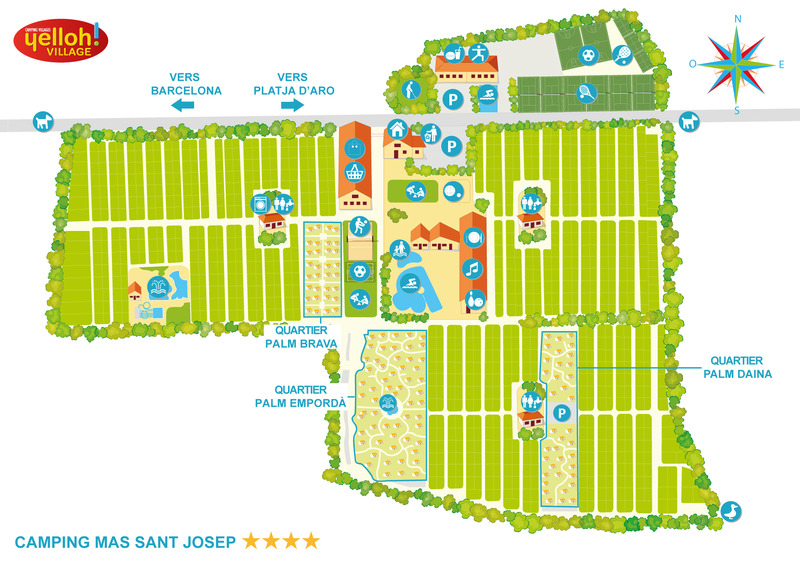 Plus the many other towns, each with its own character, just waiting to be explored during your holiday at the camping Mas Sant Josep: Empordá, Santa Cristina d’Aro, Gérone, Palafrugell… So hurry!